The Greek island of Hydra was once famous throughout the Mediterranean for its prosperous sea captains. When fortunes turned, it became an island of humble fishermen and sponge-divers. In the 1950s and 1960s, word spread of Hydra’s unique beauty and incomparable light, and its unconventional community of painters, writers, socialites and other wanderers. Seeking or escaping, they stepped onto Hydra’s horseshoe-shaped harbour and found something that bound them to the island. Some went on to reap global acclaim for their art. 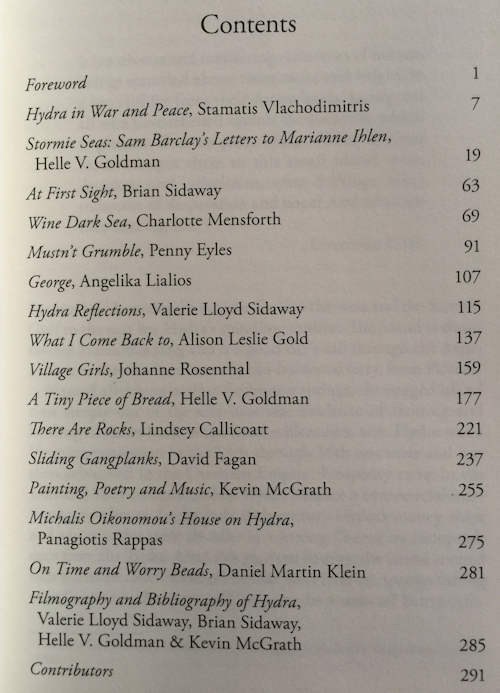 One of these was Leonard Cohen, whom Hydra brought together with Marianne Ihlen, inspiration for his timeless songs “So Long, Marianne” and “Bird on a Wire.” Others never entered the limelight. What they shared was an eagerness to forsake the modern rat-race in exchange for a simple life without refrigerators, telephones or cars. This anthology of 14 short memoirs, spanning the 1940s through 1980s, offers the reflections of the contributors on their tender younger selves and the exhilaration, heartbreak, light and darkness that transformed them on this island. The contributors include award-winning author Alison Leslie Gold and London Times and New York Times bestselling author Daniel Martin Klein. 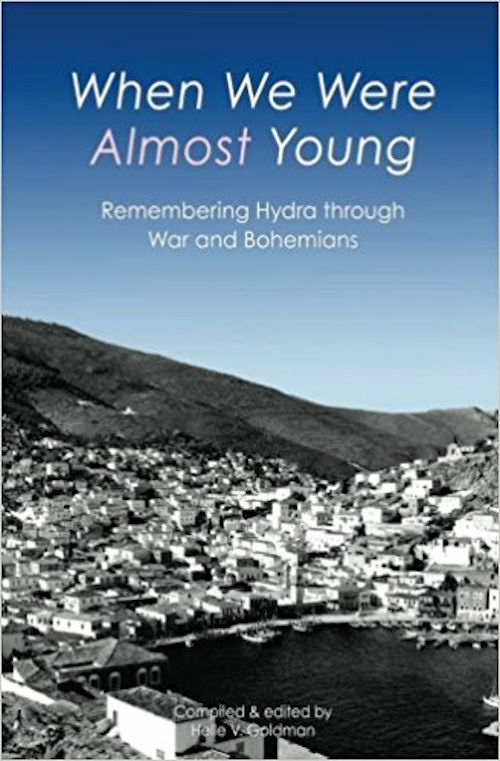 Additional material includes a collection of private letters sent to Marianne Ihlen by her friend Sam Barclay in the early 1960s, and a bibliography/filmography of books and feature films about or set on Hydra. Although it does not focus on Leonard or Marianne, they are mentioned several times in it and it deals with life on Hydra in the 60's, 70's, and 80's. I purchased it as soon as it came out and found it truly delightful - almost like I was there again.